Varun Dhawan knows how to make his fans happier on the occasion of Holi. 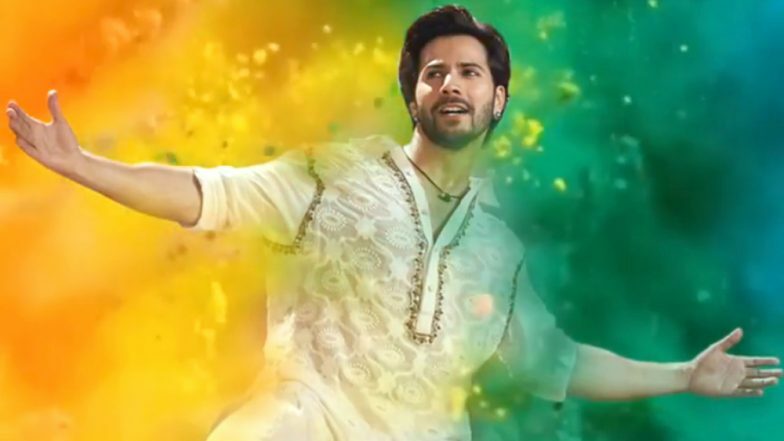 The actor who is all set to stun us in his upcoming film Kalank, posted a special teaser of the upcoming song 'First Class' featuring him. The song is all set to release tomorrow. We first got a glimpse of this song when Varun performed on it along with Kiara Advani at the Zee Cine Awards 2019. This will be the second song from Kalank after "Ghar More Pardesiya" featuring Alia Bhatt and Madhuri Dixit Nene was released by the makers. First Class sung by Arijit Singh has peppy beats and we can't wait to watch the video as it will be a delight to watch Varun Dhawan's amazing dance moves along with Kiara. In the tweet shared by Varun, we can see his look as Zafar from the film. In the song, he will be wearing White Pathani suit. Varun Dhawan-Nora Fatehi’s Dance-Off on Dilbar Song Will Energise Your Grey Tuesday. Yesterday, the actor had posted a video along with Kiara Advani, announcing that the new song will be out on Friday. It will be interesting to see Kiara shake a leg with Varun in this song. Kalank Song Ghar More Pardesiya: Alia Bhatt, Madhuri Dixit's Camaraderie and Shreya Ghoshal's Vocals Receive a Thumbs Up From Twitterati. Helmed by Abhishek Varman, Kalank is based in the 1940s. Bankrolled by Karan Johar, Sajid Nadiadwala, and Fox Star Studios, the epic drama stars Alia and Varun as the lead pair. The film also features Sanjay Dutt, Madhuri Dixit, Sonakshi Sinha and Aditya Roy Kapur in pivotal roles and is slated to release in April 2019.